Here’s more proof that Obama is NOT an American citizen; but the question is… does America care? The Story of Paul Revere, an American Hero!!! The Liberty that we enjoy today came at a great cost to a great many people, in their personal commitment to risk their all, and sometimes at the cost of their very lives, so that we could be the beneficiaries and enjoy the fruit of their sacrifice. There have always been people who have sounded the alarm, when our nation was threatened, such as Paul Revere; but had it not been for the people who responded to those warnings, our nation would never have been born. Likewise, we should not take this liberty that so many today take for granted, and we can only hope and pray that there are those among our citizens who will heed the warning signs and respond to the call to first pray, and then to let their voice be heard.. and yes, should it come to it, even lay down their life! For this is OUR country, and it is our children’s future that is at stake, and God forbid that we should let our politicians rob us of that future!!! In the face of the mounting evidence and allegations that are mounting daily against Obama, that he is in fact constitutionally unqualified to be the President of the United States, our media and our Congress are still in denial. It seems the prevailing attitude in our society today is that some don’t want the TRUTH nor the FACTS to get in the way of what some people want to believe; in whatever supports their chosen agenda; and it is in this atmosphere of discontent that societies are most susceptible to takeover by dictatorial rulers; who promise change, and tell the people whatever they want to hear, only to gain the foothold and power necessary to gain control over them. This has happened all throughout history, and it is today happening here in the United States! May God deliver us from this malaise that has blinded so many of our citizens; and this predisposition to believe a lie, rather than face the truth! I would say that this president has an agenda, and his agenda most definitely does not serve our interest; but rather it serves the interest of the powers that be, who are the true power brokers, who operate behind the scenes; who are the true “Shadow Government,” behind our politics, of those who are the real shakers and movers in Washington DC, and also in the World. It is their agenda that Obama is serving, as did President George W. Bush, before him; and Bill Clinton, before him; and George H.W. Bush Sr., before him; all of these men, who are former Presidents, who were elected to office to preserve, defend, and to protect our Constitution; and all of them are guilty of betraying their oath of office in favor of this Globalist “New World Order” agenda… and like it or lump it, that’s a fact folks!!! Now you can recognize this truth or not, it’s up to you; but the question still remains, are there still enough of us, who are Americans who care; and are there enough to make a difference? Our main problem that we have in America today are not our dishonest and corrupt politicians; but rather it is the general public, of those who voted them into office; who are themselves so deceived and so obtuse in their decrement, that they cannot see the truth, or won’t see it. It is said that in a democracy you get the government that you deserve; and so it is We the People who have voted this present government into office; and so the government we now have, is the one we have chosen; and therein is the problem we have in America today. Christians and non Christians alike; atheists and agnostics, it matter not… we each get one vote! So as I have said numerous times before, as bad as it is, and as upsetting as it is, to see what is happening to our country today; it is even more upsetting to understand that what we see happening among our leadership in Washington DC is but a reflection and extension of the people who voted them into office. I would add also, because I certainly understand that as the Bible says that there are no powers that exist in our government, but such that are allowed by God; but also with that, I understand (from the history and the patterns I read about in the Bible) that often God will judge His people by allowing wicked and godless rulers to rule over them. This pattern can be seen all throughout Israel’s history, in the various kings that ruled over her… and so I believe it is true with us as well. Subject: Proof Obama Born In Kenya? Tim Adams, a former-Senior Elections Clerk for the City and County of Honolulu Hawaii, has been releasing mega-bomb-shells, like the ones above, for a month now… to anyone who will listen… and yet, the Main Stream Media still refuses to investigate his allegations. Why not? If the allegations are true, then it is entirely possible that Barack Hussein Obama is INELIGIBLE to be President of the United States and may have committed the biggest political crime in American history right before our very eyes? It would stand to reason that the media would investigate allegations of this magnitude… especially allegations coming from a man, such as Adams, who was in a position to credibly make such claims. It would even stand to reason that the Obama-Media would investigate this story in an attempt to discredit it… but no such luck… the Obama-Media has been not-so-strangely silent. Of course, The Western Center for Journalism has not been silent. We’ve covered this story… boldly… without fear… and we will continue to cover this stories and stories like it, until the American people have the truth… the whole truth… and nothing but the truth when it comes to Barack Hussein Obama. But, truth be told, we could not cover these stories without your help because your TAX- DEDUCTIBLE donations make it possible for us to cover the stories the Mainstream Media refuses to cover… your TAX-DEDUCTIBLE donations make it possible for The Western Center for Journalism to send a clear message to Barack Hussein Obama and his allies in the Obama-Media, each and every day, that questions concerning Obama’s eligibility are not simply going to go away. What Does Barack Hussein Obama Have To Hide? Of course, Barack Hussein Obama could put the issue to rest and take the wind right out of Adams’ sails right now by simply releasing his actual long form birth certificate. But he won’t. In fact he is still actively refusing to release his actual long form birth certificate. He’s dug in his heels and his underlings look down their noses at the American people and call legitimate questions “garbage” … no explanations… no substantive reasons given. And the one pivotal question that those who attempt to dismiss the controversy cannot answer is still: If Barack Hussein Obama has nothing to hide, what’s the problem? The more he resists, the more you have to wonder. Meanwhile the liberal press is trying to drag this story (and Adams) into a dark alley and bludgeon it to death. And MSNBC’s Keith Olbermann even went so far as to call Adams a “white supremacist.” Of course Olbermann, as usual, had no facts to back-up such an accusation… it was nothing more than an unprovoked attempt to assassinate the character of a man who is making statements that run counter to the party-line being promoted by Barack Hussein Obama. But unlike Olbermann, The Western Center for Journalism is dedicated to bringing you the truth… the good… the bad… and the ugly… and with your help, we’ll continue to do so, until the bitter end… until the truth about Barack Hussein Obama is known by every man, woman and child in the United States of America. 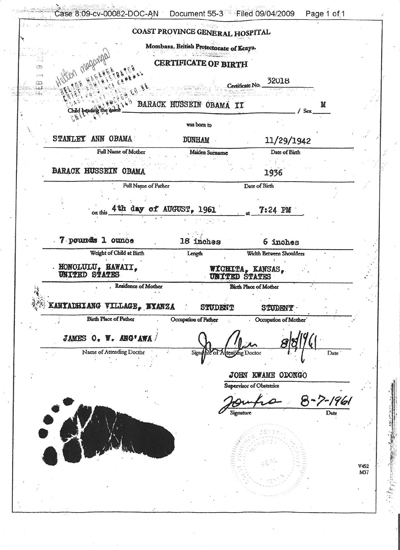 Here are some of the disturbing facts surrounding Barack Hussein Obama’s actual long form birth certificate – not rumors, not wild theories – just the facts. FACT #1: Article 2, Section 1, of the Constitution of the United States states, “No person except a natural born citizen of the United States, at the time of adoption of this Constitution, shall be eligible to the office of President…” It’s NOT a technicality, or lunacy on the part of our Founding Fathers. It is a specific statement within a document that forms the basis for ALL of our laws and not open to interpretation (unless the entire Constitution should be now open to interpretation). FACT #2: In order to be a “natural born citizen,” you must be born in the United States or, if you are born abroad, you CAN (if specific circumstances are met) inherit citizenship status from your parents. If he was born abroad, then that’s a problem for Barack Hussein Obama because his father was NOT a citizen of the United States and his mother had not lived in the United States the required amount of time after attaining the age of majority when Obama was born – meaning SHE COULD NOT pass citizenship on to Obama. FACT #3: If Barack Hussein Obama WAS NOT born in the United States, he IS NOT a “natural born citizen” and if that is the case, Obama is guilty of perpetuating the most massive fraud in the history of the United States. FACT #4: Barack Hussein Obama has actively refused to produce his actual long form birth certificate to the people who elected him. Under Hawaiian law, only Obama can legally release the document but he just won’t do it. Why not? So why won’t the Main Stream Obama-Media investigate these allegations? Why won’t the Main Stream Media air the facts? Your guess is as good as ours but don’t hold your breathe waiting for them to stop distorting and start reporting. That’s our job and with your help, we can continue to get the job done each and every day. Please help us to continue exposing the truth about Barack Hussein Obama. You have our pledge that we will not rest until the job is done. Adams said that more than four weeks ago. Since then, no one has confirmed his claim. He said it was an open secret and everybody knew. But nobody, not one person, has confirmed what he said. In contrast, the facts on Obama’s official birth certificate were confirmed twice by the Director of Health and the Director of Vital Records of Hawaii, and the governor also confirmed, naming the hospital Obama was born in. There is also this witness, who recalls being told of Obama’s birth in Hawaii in 1961 and writing home about it (http://www.freerepublic.com/focus/news/2170432/posts). Also, Obama’s Kenyan grandmother did not say that he was born in Kenya. She said in the taped interview repeatedly that Obama was born in Hawaii, and in another interview she said that the first that her family had heard of Obama’s birth was in a letter from Hawaii. However I beg to differ with you. The question is if what he says is true, why not show everyone the evidence; and produce his birth certificate? It is as simple as that. I mean really what makes more sense, to spend millions in attorney fees, and risk all that he is risking; or to just drop a dime, or spend the postage necessary to have his records released. Why all the stonewalling if there is no truth to these allegations. I mean what would you do, or any of us for that matter? Why all the to do over something that is so easy to prove, that you and I, or any American for that matter, have had to prove on numerous occasions? I mean to me it is a no brainer! As far as his grandmother… I also beg to differ with you there too, because I actually heard the original interview, which is available online for anyone to hear, where she says she was present at his birth. This happened before all the controversy over this issue; and then when the translator recognized what she said, he tried to deny it. He has already shown the OFFICIAL birth certificate of Hawaii, the Certification of Live Birth. The short-form Certification has been the OFFICIAL birth certificate of Hawaii since 2001, and it is the only one that Hawaii sends out. Hawaii no longer sends out copies of the original (http://www.staradvertiser.com/error?c=y&errorURL=http://www.staradvertiser.com/columnists/kokualine/20090606_kokua_line.html). Sure, Obama had an original birth certificate once, but he must have lost it because in 2007 he asked Hawaii for a copy and Hawaii sent him the short-form Certification, which is what it sends to everyone. It is Hawaii’s rule, not Obama’s, that the original is not sent out. It does not send the original to anyone, even to the people who were born, and it is not going to make an exception for Obama. And, why should it? 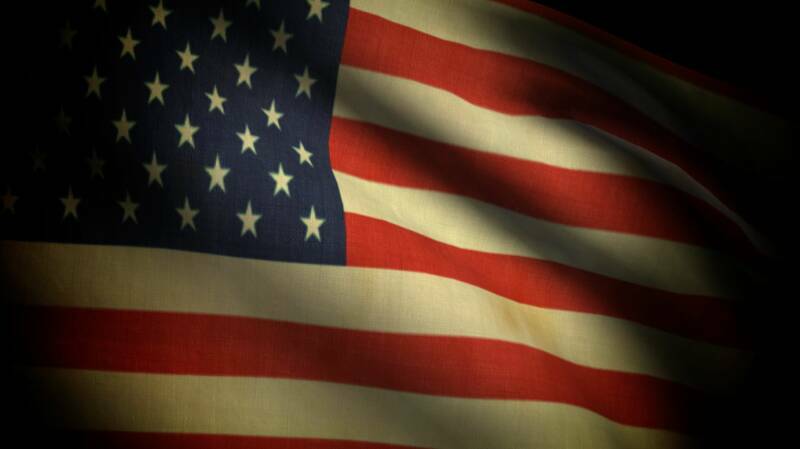 The Certification is accepted as proof of birth in the USA by the US State Department and the branches of the military. Thousands of people in Hawaii use it every year. And, in Obama’s case, the officials looked into the file twice and confirmed the facts on Obama’s Certification–that he was born in Hawaii in 1961. Re: ‘I actually heard the original interview..” YOU are mis-remembering. As a test, answer what the actual words were. Did she say that Obama’s mother was visiting in Kenya and they went to Mombassa (not part of Kenya) and she went along, and the birth took place in Mombassa? No she did not. All she did in the taped interview was say “Yes” to a question that we do not know what it meant in the African language. But when she was asked a clear question: “Where was Obama born?”, she replies right away that it was in Hawaii where Obama Senior was studying, and she repeats “America, Hawaii,” and she said in another interview that the first that the family in Kenya heard of Obama’s birth was in a letter from Hawaii. It cost the equivalent of around $20,000 in today’s dollars for two people to travel round trip from Hawaii to Kenya in those days. No one would make such a trip while the wife is late in pregnancy. No one would do it with the poorly pressurized planes in those days, and Kenya had Yellow Fever in 1961, which requires a Yellow Fever shot, which is bad for the child during pregnancy. In addition to the expense and tremendous unlikelihood of Obama’s mother going to Kenya in 1961 (and Obama has indicated that she did not even have a passport in 1961), there is the near impossibility of getting a Kenya-born child into the USA without some form of US travel document, such as a visa on a foreign passport or the issue of a US passport to the child or the change of his mother’s passport to include him–all of which would have had to have happened in Kenya, and any of which would be still in the US records, and would have been found, but hasn’t been found because there is no such document. Again I must disagree with you; and as an answer to your allegation that the short form certificate that Obama is putting forth, is all that is available to anyone from Hawaii, to that I would just say have them try and get a U.S. Passport using that short form, which is the “Certificate of Live Birth,” that Obama is using (see copy below); which I understand anyone can get in Hawaii, regardless of where they were born… this is NOT at all proof of citizenship! Let’s take a look at Obama’s “Certificate of Live Birth,” which is the official name, and by the way his document reads “Certification of Live Birth,” why the difference? * There is more information about the parents on the right side of the document across from the spaces for “Mother’s Race” and “Father’s Race.” Both the mother’s and father’s places of birth are printed there. Obama’s purported “document” does not have that information. * There is a visible certificate number at the top, while Obama’s is blacked out. * On the back, there is a stamped date, presumably the date the document was issued from the Department of Health. * The document contains a raised seal which is visible from both sides, unlike Obama’s. Again thank you for your response; but also again I must disagree with you. You said: “I would just say have them try and get a U.S. Passport using that short form, which is the “Certificate of Live Birth,” (NO, it is the Certification of Live Birth, and thousands of people in Hawaii use it to get passports every year. Yes, the long form original has more information than the short-form Certification. But Hawaii has not sent out the original since 2001. It will not send it out to anyone, even to the person involved. Re the appearance of the COLB. The official in Hawaii stated that the appearance of Obama’s COLB was just like hers in format. The raised seal is supposed to be on the back. By refusing media requests for a look at the actual paper birth certificate, Obama’s campaign gave sly backhanded assistance to the forgery hype. The internet release of the birth certificate via hyper-partisan website Daily Kos on June 12 before posting it on a campaign website was likely calculated to fuel the frenzy. This is Obama’s Gramscian strategy designed to redirect the opposition down a blind alley. It was so successful that Hawai`i government offices found themselves inundated with telephone calls from mainland voters in the days before the November 4 election. Since Hawai`i law forbids the release of birth certificates to anybody not authorized by Barack Obama or his family, Obama further fed the paranoia by choosing not to grant such permissions. A World Net Daily story claiming Hawai`i’s Republican Governor Linda Lingle “sealed” the birth certificate is totally false. The governor’s office has asked for a retraction. The forgery story was also boosted by video claims that Obama’s Kenyan grandmother stated that Obama “is a son of this village” — a phrase which can have many different meanings. For Obama to have been born in Kenya, Ann Dunham and Barack Obama Sr. would have had to fly from Honolulu to Mombasa, give birth in a substandard third world hospital, fly back and then somehow arrange for a fraudulent birth certificate to be entered by the State of Hawai`i on August 8, 1961 (at the time governed by Republican William Quinn). They would have also somehow planted the phony birth announcement in the Honolulu Advertiser (at the time edited by Republican Thurston Twigg-Smith) and the Honolulu Star-Bulletin. Hawai`i’s current Republican Governor Linda Lingle would also have to be complicit in the cover-up as would all of the leftist 1960s University of Hawaii friends of Ann Dunham and Barack Obama Sr – among them US Rep. Neil Abercrombie. Obama benefited from creating an opposition which seemed to be standing by the side of the road impotently pointing to a piece of paper as if it could stop 63 million voters from anointing their “chosen one.” Birth certificate lawsuit plaintiff Phil Berg is a Democrat and whether he understands it or not, he has done great work on behalf of his party. It is time for folks to stop being played by the Obama campaign and drop this counterproductive “phony birth certificate” nonsense. Obama opponents can find plenty of real material by focusing on the hard-left alliances, stated positions, personnel appointments and policy actions of the Obama administration and of the Democrat-controlled Congress. “For Obama to have been born in Kenya, Ann Dunham and Barack Obama Sr. would have had to fly from Honolulu to Mombasa, give birth in a substandard third world hospital, fly back and then somehow arrange for a fraudulent birth certificate to be entered by the State of Hawai`i on August 8, 1961 (at the time governed by Republican William Quinn). They would have also somehow planted the phony birth announcement in the Honolulu Advertiser (at the time edited by Republican Thurston Twigg-Smith) and the Honolulu Star-Bulletin. Hawai`i’s current Republican Governor Linda Lingle would also have to be complicit in the cover-up as would all of the leftist 1960s University of Hawaii friends of Ann Dunham and Barack Obama Sr – among them US Rep. Neil Abercrombie. And yet you believe that the Kenyan grandmother said that Obama was born in Kenya, and IF she said it, you believe that this is evidence, where the words of this witness are not (http://www.freerepublic.com/focus/news/2170432/posts). And you apparently believe that the official birth certificate and the words of the officials including those of the Republican governor are not true. Why should they lie? And, you certainly dont believe Obama, who indicated in his first book–way back in 1995 when he wasn’t considering running for Senate much less for president–that his mother did not have a passport in 1961 because she applied for one when they went to Indonesia in 1966 or 67. I have now looked at the YouTube site you listed, and there is nothing in her words that said that Obama was born in Kenya. Although the translation CLAIMS that “a son of this village” means “born in this village,” it doesn’t. It just means that Obama was a blood offspring of someone who was born in the village. And, in another interview, his Kenyan grandmother said that the first that her family had heard of Obama’s birth was in a letter FROM HAWAII. Answer: NO, it is the Certification of Live Birth, and thousands of people in Hawaii use it to get passports every year. THOUSANDS. I have now looked at the second of the two YouTube sites, and i point out that the tape was cut off after about five minutes, but the interview ran for about nine minutes. You saw that the translator said that she had replied yes, and that the question was in English “Was she present when Obama was born?” But what was the question in Swahili? THAT is what the interviewer realized after he had asked that question, so right away he asked for clarification, asking the good standard unambiguous questions: ” Can you tell me where he was born? Was he born in Mobassa? “And the answer to that takes up the other four minutes of the tape. OGOMBE (The translator, and a cousin): No, Obama was not born in Mombasa. He was born in America. Note that Ogombe did not know before he asked her where Obama was born. He asks the question, she replies. He then says clearly Hawaii and repeats it. Ogombe then repeats that she was in Kenya when he was born and that he (Obama) was in Hawaii. And, in another interview, she said that the first that her family had heard of Obama’s birth was in a letter from Hawaii. Here’s my response to your last comment. Please note also this Long form “Certificate of Birth” from 1963 (note pertinent hospital information); that this is the only form of Birth Certificate accepted for most background checks, even US security and intelligence like the FBI and DHS. [INCOG]. •	or Original Certificate of Naturalization issued by the Immigration and Naturalization Office. Note: A certified birth certificate has a registrar’s raised, embossed, impressed or multicolored seal, registrar’s signature, and the date the certificate was filed with the registrar’s office, which must be within 1 year of your birth. •	Signed by the attending physician or midwife, or, lists an affidavit signed by the parents, or shows early public records. – A name change court decree. For that matter why doesn’t he just produce his U.S. Passport, as he has obviously taken trips overseas in the past, before he was president; and that would suffice as proof of his citizenship? In fact that is my next question what passport did he use on those trips; if not U.S., then from what country? In fact Obama couldn’t even get a job as a cook at the White House using this document that he represents as his proof of citizenship, because it wouldn’t pass muster with the background security checks that would be required. I mean really compare the two documents, and do you not see a difference? The differences are obvious… and I repeat, you have anyone use the so called “Certification of Live Birth,” with the limited information that is on there, that Obama is representing as his proof of citizenship to get a U.S. Passport, and you won’t get past first base. Again I must respectfully and most seriously disagree with you. Again please note that this is part of the evidence submitted to the Supreme Court. There is a computer voice read of the affidavit that was submitted with the tape, to the Court. The tape is recorded off a mobile phone so it sounds like a single sidband transmission. Sarah Obama admitted that she was present when Barack Obama was born in Kenya. You can hear her voice near the end of the tape say “Obama Mombassa” when asked where he was born. You can believe what you want, but it just doesn’t hold water; and this evidence that Obama has submitted as his only proof of citizenship wouldn’t even come close to passing muster in a court of law. I repeat, if he doesn’t want us to see his birth certificate, then why not just show us his U.S. Passport… if he has one? And if he doesn’t have one, I repeat, what did he use for his overseas trips prior to him becoming president? Again I have to disagree with you; but I thank you for your comments all the same. In spite of the fact that info you sent me says his Birth Certificate is legit, it still lacks the minimum information, as I have already explained in previous posts. But that aside here is another article that raises some of the same arguments that I raised, and some additional ones, along with other problems. 1. If you were a natural born American citizen and had it within your means to quiet all the lawsuits and questions with proof, would you do it? 2. If you were a natural born American citizen, would you spend thousands of dollars to fight the legal cases against you, or would you simply answer the legitimate question of whether you meet the constitutional requirements for office? 3. If you were a natural born American citizen, would you forge a document called a “Certification of Live Birth” and tell the public it was a real “birth certificate”? If someone were to violate the law by manufacturing a forgery in order trick the public, would that be enough evidence for members of Congress to conduct hearings and for a court to issue an order for the critical records, including the original long-form birth certificate (signed by the doctor) to ensure that the U.S. constitutional requirements for office were not violated? After all, Congress is sworn to uphold and defend that Constitution, and the justices on the U.S. Supreme Court are “guardians” of the Constitution. That’s their job, isn’t it? Ron Polarik, who holds a Ph.D. in Instructional Media and specializes in computer graphics with over 20 years experience with computers, printers and typewriters, has come forth with more definitive evidence than the word processor that tried to simulate a 1970s Selectric typewriter. Polarik has submitted a signed affidavit and has now released his findings on video at http://www.ObamaForgery.com with his identity masked and voice altered to guard against the carrying out of threats, which he has already received. Like with Rathergate, when you’re creating documents, make sure you use only a typewriter that was invented at the time you report the document was manufactured. When posting a “Certification of Live Birth,” make sure you “borrow” only from documents used in the same year! But beyond the birth certificate issue, there’s the matter that Obama traveled to Indonesia, Pakistan, Southern India and Kenya in 1981. He said he went to Indonesia to see his mother. This seemed plausible, except for the fact that his mother returned to Hawaii in August of 1980 to file for a divorce from her second husband, Lolo Soetoro. Unless she went back to pal around with the man she divorced, she wasn’t there at the time of Obama’s visit. There’s another problem. No record of Obama holding an American passport prior to the one he received once becoming a U.S. senator has been found. If he traveled to Pakistan with an American passport, he wouldn’t have been allowed in – since Pakistan was in turmoil in 1981 and under martial law. It was also on the State Department’s travel ban list for U.S. citizens. That’s quite possible since under Indonesian law, when a male acknowledges a child as his son, it deems the son – in this case Obama – to be an Indonesian state citizen, which was also recorded by Obama’s school record. So, if he didn’t go to Indonesia in 1981 to visit mom (who had returned to Hawaii by then), might it have something to do with the fact that Indonesian passports expire every five years and it was time for renewal? If Obama would have been a U.S. citizen, 8 USC §1481(a)(2) provides loss of nationality by native born citizens upon “taking an oath or making an affirmation or other formal declaration of allegiance to a foreign state … after having attained the age of eighteen years,” in violation of 8 U.S.C. §1401(a)(1). Simply put, since Indonesia did not allow for dual citizenship, if Obama got that passport in 1981, when he was 20 years old, he effectively renounced any U.S. citizenship he may have had. Previous Previous post: Growing our FAITH… it happens ONLY through trials and tribulations!!! Next Next post: TRUST GOD IN ALL THINGS!! !